Tax season can be stress-free if one can organize the actions properly. This blog series is aimed to help the readers with the same. Articles earlier published in the series covered different verticals and a common segment among them all is the ability of cloud. Be it secure filing of taxes or maintenance of the documents – cloud can play a vital role in tackling the tax season hassles. A huge part of masses still considers tax among the major expense burden even though the tax preparation fees is available for tax deductions. Expenses, involved with the tax filing that cloud can easily save money on are the purchase of tax software, hardware, etc. Taxpayers (and even some tax preparers) require them only for the tax season but end up buying it. Cloud can save money by giving you the option to ‘pay as you go’. Cloud services can be opted only for the required duration. It implies that you can go with the hosting option during the tax season and pay accordingly. 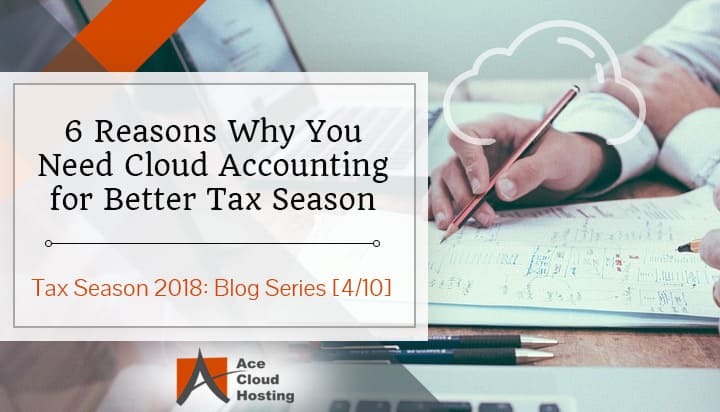 For a business that require tax software or accounting applications to be functional throughout the year, you can upscale the hosting requirements during the tax season because upscaling and downscaling the resources with the cloud environment is effortless. Moreover, larger accounting firms that require working on several accounting software, such as – Lacerte, ProSeries, Drake, etc. can go with the dedicated server solution, which is another pocket-friendly solution. Tax filing process can involve several stakeholders, such as – bookkeeper, accountant, business co-owners, etc. They may have different preferences with devices, operating system, and even the work location. Cloud overcomes the necessity of availing all the stakeholders with the similar device, operating systems or location. Cloud-hosted tax software can be accessed over the web browsers using any device. So, different users working on different devices and located in different time zones can also collaborate and add pace to the tax filing if your firm takes the software to the cloud. One of the main reasons, at which tax filing struggles with local-server accounting, is data management. Stakeholders involved with the tax filing keep sharing the accounting files and forms as attachments over emails. Every attachment downloaded adds a new file and that can cause chaos with the storage. Keeping track of the updated files can be a daunting task in these situations. Coming to the cloud, all the stakeholders can collaborate on the same platform (as explained in the above point). So, they are working on the same file and hence, the data management is simplified. Not only it saves the storage space on the server but also the updated file/form is available for everyone. Data loss is one of the last situations anyone would want to be in during the tax season. Unfortunately, there are plenty of reasons that cause it. It could the faulty hardware, software glitch, or an external attack. Continuous backup, its security, and easy availability, whenever the need arrives, is essential for a well-prepared accounting department. Reliable cloud service providers ensure that they are mirroring the data on distantly located data centers along with proper security practices. So, in case any disaster strikes at the data center your tax data will remain available without any interruption. Hardware demand pampering at regular intervals. During the tax season overload, hardware can raise such demands. With deadlines looming, no tax preparer will want to divert the attention to such issues. Even if you have a dedicated IT support staff to take care of it, your work processes may have to face downtime when they work on the local servers. The story with the cloud is completely different. Cloud servers are maintained by hosting providers, so you can keep on working on the tax works without worrying about the hardware hassles. 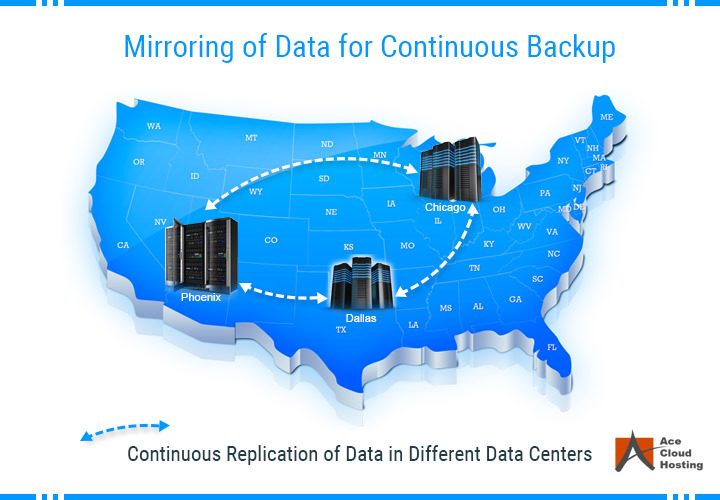 In case, there is any maintenance/upgrade process in action, your operations can be shifted to mirrored data centers. Along with the freedom of maintenance hassles, the cost of IT staff is also saved. Technology changes and the pace of this change is only picking up. Since the modern-day tax filing depends on technology in several ways, upgrades are inevitable. To keep up with the industry standards you can’t keep working on the outdated technology. And upgrading to the new technology can ask for investment as well as effort with the local server-dependent accounting operations. So, they might see upgrades as a challenge. When you pick cloud services, you are independent of the hardware restrictions, which eventually gives a greater choice of adapting to the software upgrades. Most software upgrades take place in the background and do not disturb the ongoing operations. Additionally, you can upscale (or downscale) the server resources depending on the changes with accounting or tax software. Overall, upgrades to your accounting system with the cloud technology are hassle-free. So, you are always prepared with the latest technology for the coming tax season. Next article in the series will focus on the common mistakes that one can make with the tax filing. You can follow Ace Cloud Hosting on Twitter, Facebook, LinkedIn or Google+ to receive updates when the article goes live. We would like to know how are preparing for the tax season. You can provide your opinions in the comments below. If you are looking for any help in setting up your accounting or tax system on the cloud, you can reach our cloud consultants anytime over chat, emails or phone call. Security of tax data can be a big hassle for taxpayers, definitely cloud implementation helps to keep the backup and offers organized tax accounting. Thanks for sharing such engrossing article! Will definitely be helpful for this tax season, also am excited about the next post. Cloud has made life easy for tax professionals. Getting ready for next year taxes is also made easier by advanced features that helps to organize and manage tax data efficiently. Adding to this, cloud-based accounting also promotes better communication and collaboration in the team. With real-time access to the documents, taxes can be done with ease.